What shapes attract you? Are your stones geometric? Organic? 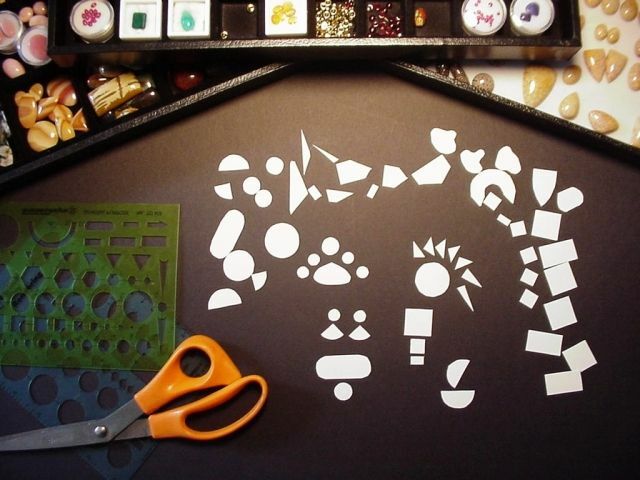 Take the heavy paper or cardboard and cut out some shapes in various sizes. You can use your templates for this. These can also be free form shapes and similar to your stone shape. Start moving these shapes around and see how they relate to each other and change depending on their positions. When you like a combination copy it into your sketchbook. Ask yourself are these shapes: strong, soft, flowing, organic, mechanical? How does your perception of them change when you move them around?